It took exactly three posts into my blogging at The Green Miles to make my feelings clear on I66: I'm against expanding it. Three years later, my position is unchanged -- our precious transportation dollars would be better spent on Metro and our existing roads and bridges, which remain in desperate need of maintenance funding. On top of that, Arlingtonians shouldn't have to pay the price in higher pollution to smooth (and encourage) commutes from distant sprawling suburbs. It's important for Arlington's leaders to take a strong stand. Heavy pressure to capitulate comes from representatives of places like Fairfax and Prince William, both in Richmond and on Capitol Hill, who don't much care about more pollution in Arlington or a wider I66 crowding out adjacent trails -- those problems will impact Arlington, not them. That's why in my run for House of Delegates, I'm being crystal clear about my position on I66. If the delegate from the 47th district won't stand up for Arlington, who will? Just learning some tragic news. Earlier this month, former Arlingtonians for a Clean Environment board member Erik Bluemel was killed in a bike accident in Denver. He was just 32 years old. He served as a staff attorney and teaching fellow at the Georgetown University Law Center's Institute for Public Representation, where he represented dozens of national and local groups on administrative, environmental and public-land issues. The University of California Alumni Club is hosting a memorial gathering for Erik tonight from 6-9pm at Sign of the Whale (1825 M Street NW), all are welcome to attend. Any minute now, the House Energy & Commerce Committee is expected to pass the American American Clean Energy & Security Act (HR 2454), also known as Waxman-Markey. “It’s really a statement about Boucher and the leadership he has assumed in gutting the bill and giving billions of dollars to polluters,” CCAN communications director Anne Havemann told Grist after the protest. Wouldn't it be nice if Rep. Boucher could join the fight for a clean energy future and green jobs instead of protecting the dirty coal industry and its rapidly dwindling number of mining jobs? Yesterday, the Environmental Protection Agency held a public forum on its recent finding that global warming poses a threat to public health & welfare under the Clean Air Act. For my day job with the National Wildlife Federation, I covered a news conference of environmental groups praising the EPA's decision and calling on Congress to pass comprehensive climate & energy legislation this year. We shot this video at Potomac Overlook Regional Park, which has installed solar panels over its performance stage. 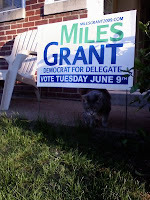 Learn more about my run for House of Delegates and sign up for campaign email updates at MilesGrant2009.com! I was canvassing in Ballston yesterday when I came upon this house on Columbus Street near Washington Boulevard. 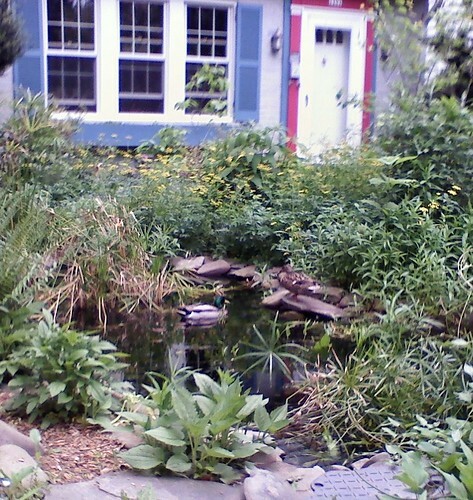 It had a small pond with a fountain out front and two Mallards were happily swimming in it. 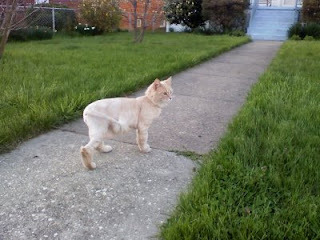 When I knocked on the door, I was less interested in pitching my campaign than I was in hearing about the yard. Were the ducks regular neighborhood nesters? "They nested last year, but the eggs didn't hatch," the homeowner told me. "I think it was their first time. She didn't seem to have the hang of it yet." Join the Northern Virginia Regional Park Authority on Sunday, May 17, 1:30-3:30 p.m. for the grand re-opening of the Potomac Overlook Nature Center in Arlington, VA. The renovated nature center features the “Energerium” – a new exhibit on energy in living systems, including human systems. This exhibit examines nature through the lens of energy, drawing attention to the central role that energy plays in our lives. The afternoon will also feature tours of the renovated facility and lots of fun activities for all ages, including live music, a juggler, games, door prizes and more. The Green Miles' suggested Sunday itinerary -- go to Taste of Arlington in Ballston at noon (wearing your MG09 organic cotton t-shirt, of course), then go to Potomac Overlook at 1:30pm to walk off the calories. Now that the Democratic primary for Virginia House of Delegates is fewer than 31 days away, Miles Grant for Delegate volunteers have put up signs on median strips across the 47th district. Given that I'm The Green Miles, we asked volunteers to be especially careful about not placing signs in parks or flower beds and planting signs deep so they wouldn't blow away. I got an email about the quality (not quantity) of the signs from a ... let's call him a keen observer of Arlington Democratic politics. If you live in Arlington and would like an MG09 yard sign, email us! 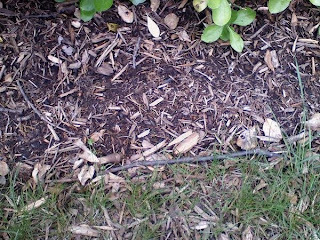 Last summer I planted some seed paper (see: Island of Misfit Green Toys) and told you I'd let you know how it did. The Green Miles doesn't have a washer-dryer in his apartment. Especially in the winter, I dread the one-block trek to my complex's laundromat. 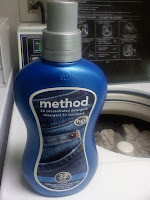 Not only do I have to schlep my clothes, I have to bring detergent, giving me a choice of bringing the whole big box/jug or trying to pour some into a smaller container, always a messy proposition. The No. 1 ingredient to avoid is the surfactant nonylphenol ethoxylate. NPE breaks down into NP (nonylphenol, please don't make me spell it any more), an endocrine disruptor (and estrogen mimic) that has been seen to affect male fishes. Since detergent goes out in household wastewater, and NPEs are quite difficult to remove during sewage treatment, we should avoid putting NPE into the water in the first place. And as Treehugger recommends, wash your laundry in cold water whenever you can. While I was walking through Westover asking voters for their support in my race for House of Delegates, I noticed an open house at this green home for sale. The house was packed and the realtors told me they expected hundreds of visitors that day. Definitely not in my price range though, listed at $1,295,000. 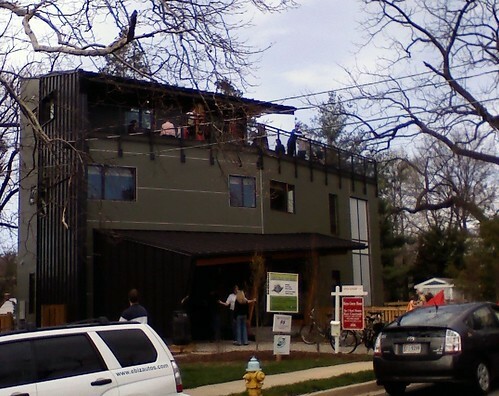 You can learn more about Arlington's green home choice program here. The candidate questionnaires are coming in at a rate of about one a day race for the Virginia House of Delegates here in Arlington's 47th district. Here's the first one I've gotten that I strongly disagree with. 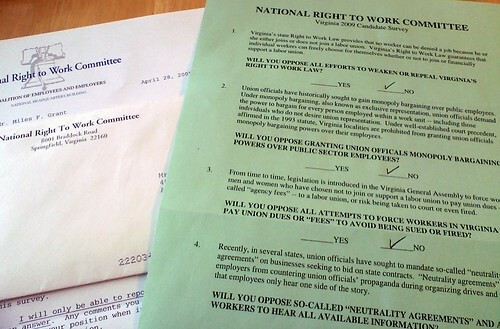 It's from the National Right to Work Committee, which spends millions of dollars every year on anti-union activities. Most recently, it made headlines for trashing President Obama's Labor Secretary nominee, Hilda Solis. © 2006-2015 Miles Grant. All rights reserved. Simple theme. Powered by Blogger.